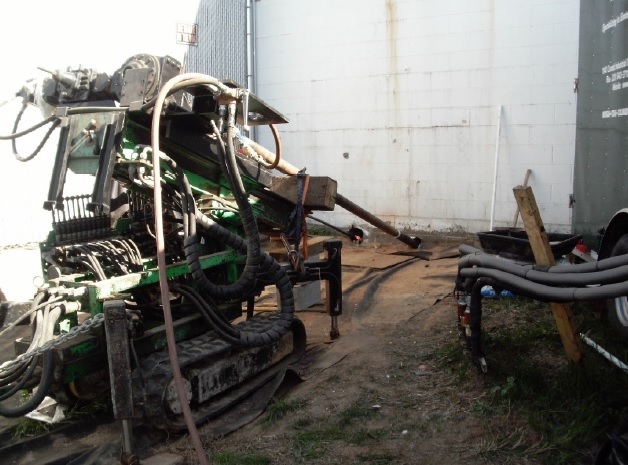 Environmental remediation measures consist of drilling, installation of monitoring/treatment wells, and constructing various in situ injection systems to mitigate or eliminate contamination of soil, rock, water, and sediments. Systems are installed to facilitate the remediation of shallow or deep contamination zones, whether confined to a small area or across an entire site and beyond its property lines. Recent advancements in technology have given the engineers responsible to provide designs for these projects many options from which to choose. Earthcore has partnered with many Clients to install components to support vapor extraction, soil mixing/solidification, grout curtain/slurry cut-off walls, bioremediation, oxidation, thermal desorption, and pump/treat systems. Custom equipment is often fabricated to access indoor and limited access areas, wetlands, lagoons, and to reach out over berms at landfills and other sensitive sites.